A Very New Runner, asking what’s all the stuff about? I am a newbie runner, like so new that I have only done three 5k’s, my first 10k will be in late September and my first Half Marathon is in February. Thank you Disbroads and Run Disney for this new hobby of mine. I will say that it clears my head and makes me feel good so that’s a plus right? Oh yeah and it’s good for me too. I work with a lot of runners and am friends with a lot of runner, some newer and some seasoned. What I seem to be seeing is that while you think running is strapping on sneakers and grabbing your walkman to hit the pavement it’s so much more. Let’s talk about running “gear” for a minute. 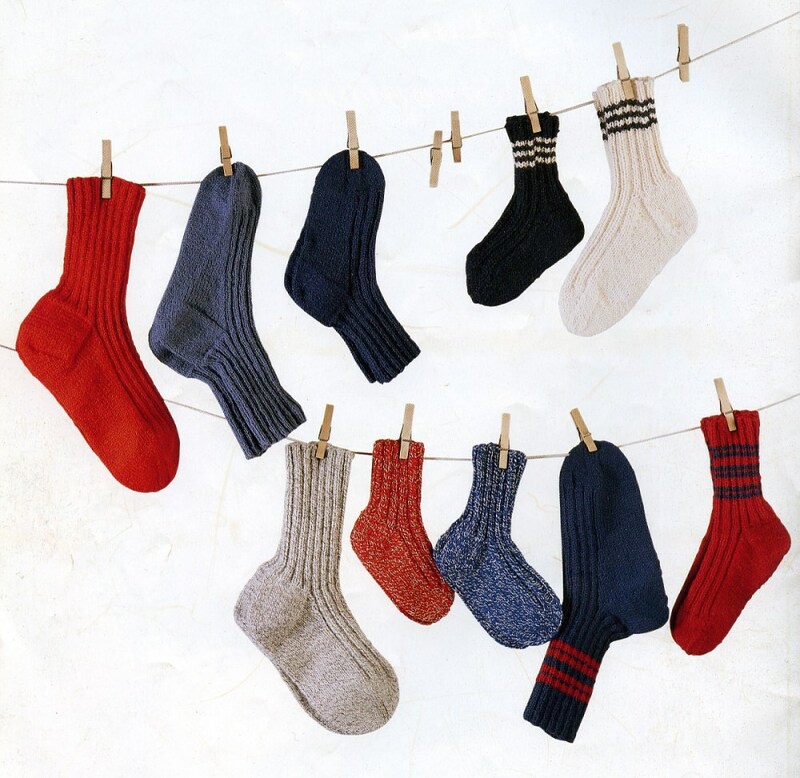 Who knew there were so many stinking pairs of socks! How do I know which ones to wear? Do I need compression socks or just ones that wont make my feet sweat and blister? The sheer thought of the sock aisle in the running store scares me. Oh wait and I need shoes for those socks right? Yeah that’s a price tag that scares my husband! We went to the local running store and he said you better get a 2nd job for this hobby. I mean who knew there was so much involved. 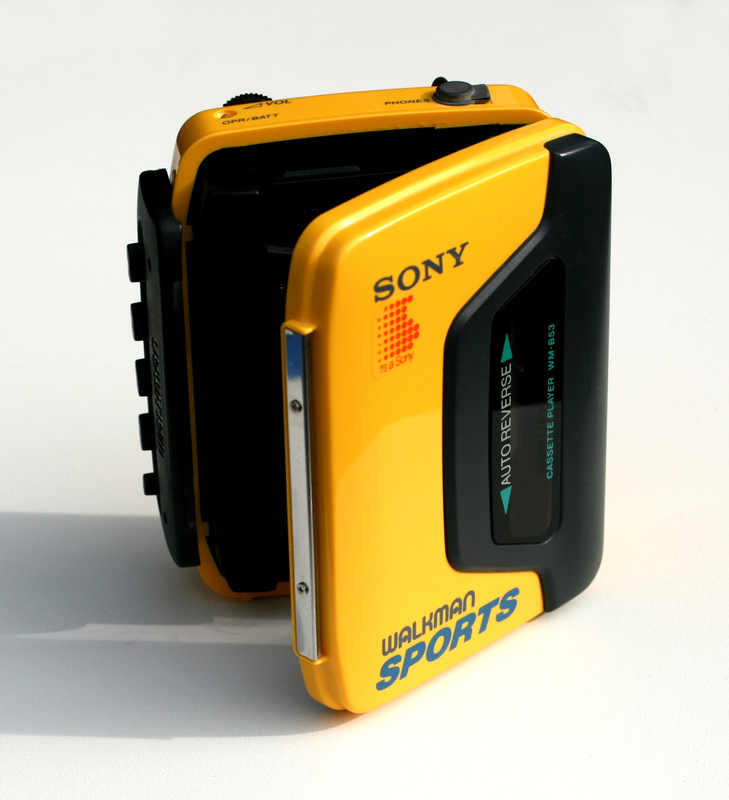 Here we go I am heading out with my walkman for my run but wait I have to time it, great awesome is there an APP for that? Of course there is but I am running a half marathon I need something more awesome and runner like. Seems everyone in the runner world uses Garmin, ok great. Nope hold that thought there are 10 million types to choose from! I think one makes martinis at the finish line to be honest. I better stay hydrated out there, Maryland is brutal in the summer and well so is Florida in February. I will just grab this water bottle and hit the road right? 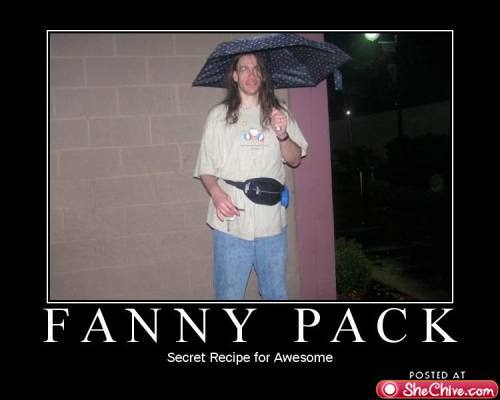 NOPE, wrong again it seems I need a fanny pack for my water. I mean all the cool kids have them right? And check it out my water bottle fanny pack has a trusty pocket for my Co-Co Go, NUNN, Energy Bits, GU, Protein Bars and whatever else I think will make me the fastest and most awesome runner alive. Let’s not forget the injury prevention part of the run. I know for a fact I need body glide, if it came in aerosol form I would literally just spray my whole body down. YES! I have committed to a product. You hear that Body Glide I love you and so do my thighs. Now what else do I need? Oh yes to tape myself up like Misty May in the Olympic Volleyball game! What is this stuff for? Do I need it? Will I die on the pavement if I don’t look like a crosswalk? Somebody help me with this one! Maybe I should do something about my luxurious locks on this run of mine right? Now one would think you just grab a hat right? Nope wrong again, there are 40,000 headbands! NO Slip, NO Sweat, No Die on the pavement headbands! What if I want a visor? Oh here we go again, the list of a million products. My head is spinning because there are just too many things out there. I know this much. I will run in Sparkle Tech and cover myself in Body Glide. So unless someone out there starts pointing me in the direction of the things I need to be the most awesome runner in the world then well you get to see me in a skirt and bodyglide. We all know you don’t want to see this right? Yeah I thought so. 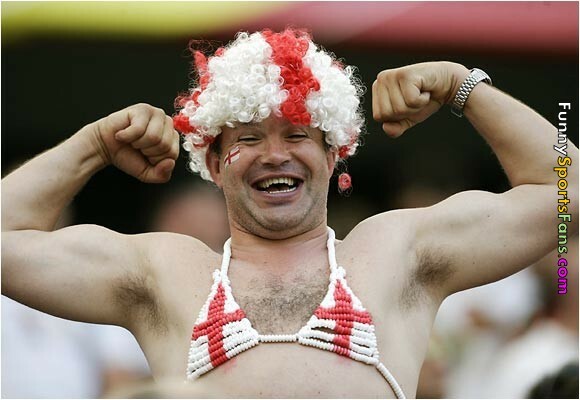 Oh wait I didn’t even talk about sports bras! Maybe next time. All kidding aside I need you guys, my fellow runners to help me out here, what works for you? I cant wait to hear reviews and pro and cons. Oh and if any Brand Ambassadors or Running Product Companies are reading this feel free to send me something to test out and review, cause I am not committed to anything! That was a shameless plug I am aware, but I am so LOST! 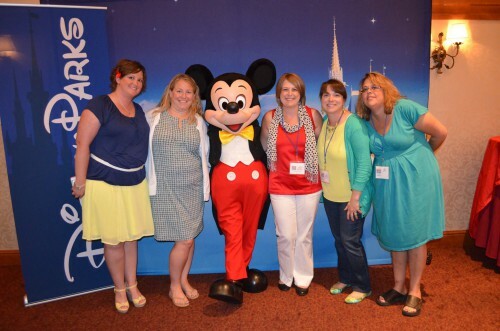 Disney Social Media Mom’s On the Road–Philly, my favorite so far! I know this post is late, my summer has been crazy! That’s the life of a work at home Mom when the kids are off school, finding the balance. 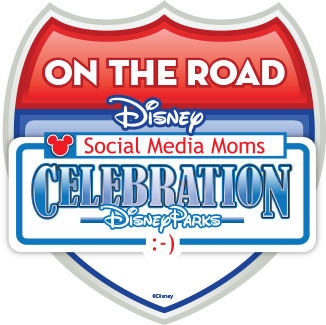 I was invited for the second year in a row to attend Disney Social Media Mom’s On The Road Celebration. This year’s event was held in King of Prussia PA (a Philly suburb), and was by far the best one I have attended. I really think they took the feedback from last years conference and just blew it out of the water. When you put together some of my favorite things in one room that is a good conference. 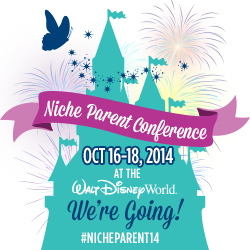 Disney,Blogging,Networking and Gary! This year we had the pleasure of meeting a few other Disney Social Media superstars including Jamie Langdon, PR and Social Media Director at Walt Disney World Resort and Jenn Fickley-Baker, Walt Disney World Social Media Manager. 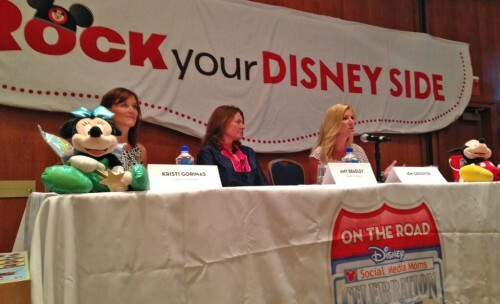 What a breath of fresh air to hear from them, so much goes into Disney Social Media and Marketing it’s amazing. Just getting a little taste of what goes into social media at Disney made me think I really need to up my game! We were told to Rock Our Disney Side for this year’s conference, I channeled my inner Snow White by Disney Bounding. There are many way’s to Rock Your Disney Side. What is your favorite way? I am so grateful for Maria Bailey because she is the Mom behind the madness as far as putting together the business side of the Conference. If you don’t know already Maria is the CEO and Founder of BSM Media, otherwise known as MOM TV, Mom Talk Radio and Mom Select. She gives Mom’s a voice especially Mom’s who run their own business. We also heard from other mom-preneurs as we are often called, and they brought home the message that it’s not easy but we can “have it all”. I have 5 takeaway’s from this years Conference I want to share, especially for those Moms that think they can’t “have it all”. This years On the Road Conference was great, we heard from Social Media Experts, Mom’s and a Life Coach all showing us how to make our brand work best for us. I know that the information I took away has been invaluable in helping build my brand and my blog. I am thankful I got to be a part of the event! Saturday was a lazy day for us, and that also lead to Me not wanting to cook dinner. 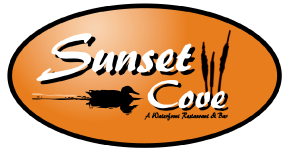 I had seen many people post about Happy Hour and nights out at Sunset Cove, but I also knew they catered to families as well. After doing a little research on-line we headed off to dinner. The restaurant is located in Bowleys Quarters, Maryland for those unfamiliar with this area if you don’t like the Chesapeake Bay then don’t visit here. 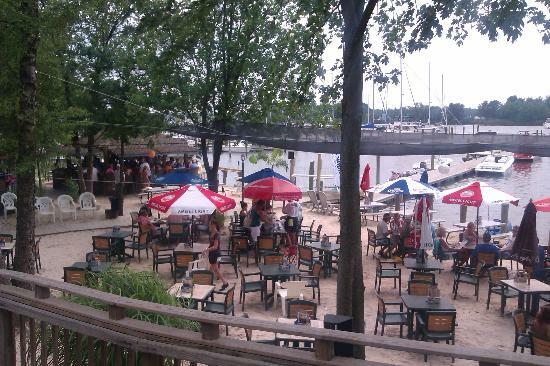 The restaurant is actually located at Maryland Marina, so you are surrounded by boats and the Cheasapeake. We arrived around 5pm and were seated out on the “beach” right away, plenty of picnic tables and tiki bars all around. I wish we had known that the water adjacent to the restaurant is open for swimming! My girls got in with clothes on as it is about 4ft deep with soft sand bottom, our next visit they are wearing bathing suits for sure. There are no specials on Saturdays but they do have live music from 6-10, we loved the band playing for the night “Under the Covers”. If you are seated on the beach during prime hours there is a 2.5hour time limit for your table, that is actually really generous. We never felt rushed at all. When my toes are in the sand I want a cocktail, I went with a creamsicle crush. Loved it! We began our meal with the Crab Nachos (come on I live in Maryland, I love crab anything). These were really good! The cheese melted on top had Old Bay cooked into it not just sprinkled around. The serving was plentiful and we chowed down. Next up main courses, I had the Rockos Tacos, a huge filet of rockfish (again it’s the state fish here of course I ordered this) grilled to perfection and served with mango salsa and wasabi cucumber dressing. You get 2 tacos per order and 2 sides of your choice. This is a HUGE meal for $12.99. Oh yeah I forgot to mention for a place on the water the prices are fantastic. My oldest daughter ordered 1lb of steamed mussels for dinner, they comes in a white wine broth with literally a loaf of French bread to soak up all the yummy sauce. I wouldn’t know how they taste because they were gone by the time I asked. Miss M got her usual a hot dog and chips, yeah she wont be my food critic. Hubby went with pork chops, who the heck orders pork chops when you eat on a beach? He said they were good and loves the mashed potatoes. All in all a really great meal with the perfect Maryland Summer atmosphere. As they say on the website “It’s a stay-cation every day at Sunset Cove”, I would agree! Have you dined here? I want to hear your reviews! My kids got out of school on June 9, and it is now July 22. In that time I feel like we have done nothing so far this summer. The girls are disappointed that there is no summer vacation to the beach. However they have already gone to Disney World TWICE this year! What other kids can say that? Not many if you ask me! I am seeing back to school lists, and sports tryouts coming my way already! So technically I have about 3 weeks of real summer left before all the craziness kicks in. We do have a pool in our backyard however Maryland weather hasn’t been very good. We have seen more rain and cloudy days this summer than I can ever remember. I feel like summer has quickly flown by and we have done nothing. Am I the only Mom that feels this way? Being a work at home mom doesn’t help either because I have to find a balance between work and play. 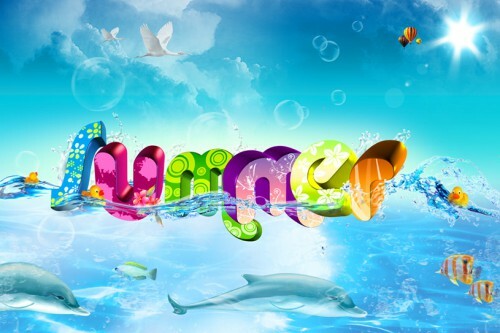 What have you done this summer to keep the kids entertained? I hope it’s been more eventful than ours. Good News! 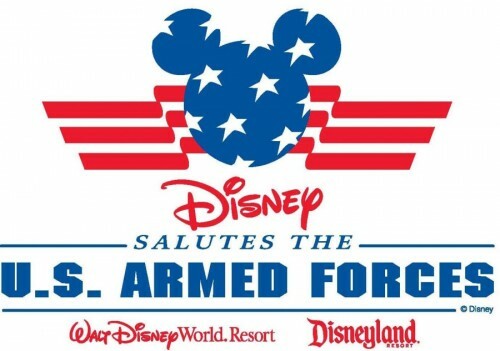 Disney has extended the Military Salute for another year. This promotion has 2 parts, a room discount and a ticket discount. Please note that the number of rooms with this discount is limited at each resort and by room type. Also, this promotion cannot be combined with other Disney Promotions. Ticket Prices–these tickets cannot be added to the room they must be purchased on base and activated at the gate. You are able to add the dining plan to your room without having tickets, this is a great perk! Here are the eligibility requirements to participate in the Armed Forces Salute. Who is eligible to participate in the Armed Forces Salute? “Eligible Service Members” are “active” i.e. current members of the US military from the Active Duty, Reserve, or National Guard, or retired members of the Active Duty, Reserve, or National Guard. Current and retired members of the US Coast Guard. Reserve and Guard DO NOT need to be on active duty orders (or show any)! 100% Disabled Veterans, and Permanently Disabled Veterans are also eligible for this offer. Permanently Disabled Veterans must have a military ID with a DAVPRM status. Spouses of eligible members are able to participate in place of the member without the member being present. Active Military Foreign Affiliates with US issued CAC with a blue band are also eligible. Not eligible are: unaccompanied dependents (children), prior service members who did not retire, foreign military members with out US issued CAC, DOD civilians, and other service connected disabled who are not DAVPRM or 100%. If you want to take advantage of this great offer and go to Disney World or Disneyland Resort please feel free to contact me for a FREE quote. Definitely FAB, working on getting FIT and lots of FUN! I have the pleasure of being a VIP Member of Fab.Fit.Fun. That means for only $49.99 each quarter I get a box in the mail full of name brand full size goodies! As a working mom I don’t have time to go through this months, or last year’s Cosmo and figure out what great things are out there now. I will gladly pay $49.99 four times a year for over $200 worth of great products! I have to say that this months Summer Box was probably the best box I have gotten yet. Here is my review of all the great items in this months box! Sonya Dakar Flash Facial–this is like magic in a bottle, it literally take me 3 minutes to give myself an at home facial and my skin feels new and fantastic! Great for busy moms who have no time for facials. Thursday Friday Away Mini Clutch / Makeup Bag— I am personally on the fence about this one, the design we received wasn’t one that I would ever choose. I like the concept of glamming up the basic canvas bag, but would I carry this as a clutch, no not at all. And it’s really not big enough for a carry on makeup bag. I wouldn’t spend the money to get a larger version. It just isn’t for me. pur~lisse pur~protect SPF30–yes I am 35, and I know I need to wear sunscreen all the time to reduce the signs of aging. But I don’t, and neither do you so don’t judge me. The product however is a really great lightweight sunscreen, and would be the perfect year round moisturizer and face protectant. I would buy it without question. FabFitFun Water Infuser Water Bottle–in my attempt to get fit this water bottle is great, it has a little compartment you can put fresh fruit in so that you can infuse your water! how great..and sometimes there may or may not be a little bit of vodka with my fruit. Zoya Nail Polish–great nail polish, doesn’t chip and goes on well. I mean it’s nail polish how much of a review do you really need? Skintimate Shave Gel–thanks for the travel size bottle! we all have to shave our legs, right ladies? SlimFast Birthday Bar–I wouldn’t know what this tastes like, it was flat as a pancake when it arrive in my box. Such a bummer, the package looked so pretty! Always Xtra Protection Long Daily Liners–here we go again, yes I am 35..and sometimes I pee when I sneeze or laugh or run because well I have had children. But YAY for these Always liners. They saved the day during a most recent allergy attack. Well there you have it! My real opinion on all the great goodies in this VIP Summer Box! Are you interested in trying these products out? Well guess what you can! Use my link and get your box for only $39.99 a $10 savings off the regular VIP Price. So what are you waiting for–order your box today and share in being FAB.FIT and FUN with me. Many of us (including myself) weren’t able to make the Grand Opening of Diagon Alley on July 8. That doesn’t mean you can’t go behind the scenes and see what happened that day! From the long waits to get into London to the first sights of Diagon Alley, muggles were blown away! This attraction at Universal Orlando Resort is a DO NOT MISS! I will be visiting Oct 6-8, will I see you there? I was just talking to my girlfriends the other day about where we would “carb-load” the night before the 2015 Princess Half Marathon. 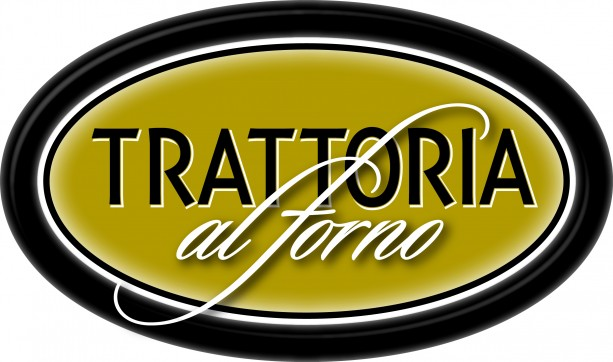 I think the brand new Trattoria al Forno at Disney’s Boardwalk Resort will be just that place! A “trattoria” is an Italian restaurant serving simple food, and “al forno” is Italian for “food baked in an oven,” and this new spot will showcase Old World techniques, including handcrafted mozzarella made daily, cavatelli (small dumpling-shaped pasta) and a variety of Neopolitan-style pizzas baked in wood-burning ovens. Neopolitan pizzas, by the way, are pizzas in the classic style of Naples, Italy, with simple tomato sauce and fresh mozzarella. A beautiful Italian flywheel slicer slices paper-thin Italian meats, served with a variety of olives and caponata. Satisfying pastas, velvety seasonal risottos and fresh seafood and vegetables will celebrate the delectable diversity of Italian cuisine with authentic ingredients and recipes from Italy’s various regions. Italy is just half the size of Texas but has wonderfully diverse cuisine, and Trattoria al Forno will showcase dishes from Italy’s various regions – for instance, braised beef Bolognese with house-made cavatelli from Bologna, semolina tagliatelli carbonara from Latium (more specifically Rome), pork chop alla Milanese named after the city of Milano. And you’ll find classic Italian favorites: chicken breast alla Parmagiana with tagliatelle pasta; shrimp with garlic, capers and anchovy butter with polenta; whole roasted fish with roasted vegetables; baked lasagna; grilled steak; slow-cooked lamb shank with polenta; and eggplant rollatini. A seasonal risotto will always be on the menu, and vegetarians will appreciate the ruffled campanelle pasta with green beans, roasted potatoes and Genovese pesto. Add a classic Italian dessert with an after-dinner cappuccino for a perfect ending. Look for tiramisù, lemon panna cotta with almond crunch and berries, gelatos, and the signature bomboloni (Italian donut holes) with dark chocolate and vanilla gelato. Wines will be 100 percent Italian from historic wine regions including Tuscany, Veneto and Piedmont, with over 60 offerings by the bottle and more than 25 wines by the glass – Chiantis, Super Tuscans and fine Italian white wines such as Prosecco, Pinot Grigio and Moscato. Signature cocktails and Italian beers and sodas round out the drink menu, with a signature-blend Italian coffee roasted just for Trattoria al forno. We can’t wait to share more information and photos, stay tuned. Reservations will be accepted in several weeks – we’ll be sure to let you know the date. Thanks to the Disney Parks Blog for giving us this great update! Will you be dining at this new Italian Restaurant? Princess Half Marathon here I come! Well it’s official. 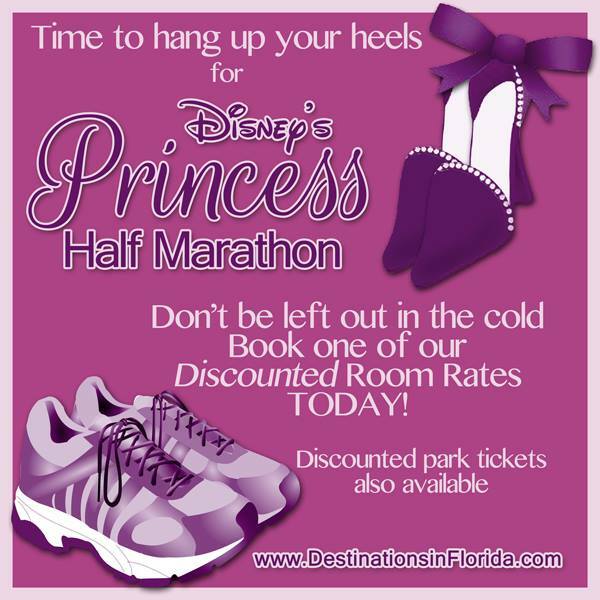 I am registered for the 2015 Run Disney Princess Half Marathon on February 22. Running is mind over matter, and right now my mind is yelling “What did you just do!!”. Well that’s ok because I know with the right training I can do this. The Princess Half Weekend is a very girl-power encouraging event. I know there are so many Princesses in my corner already cheering me on just because I registered, and that’s the first step! I can’t wait to cross that finish line, but until then I will motivate my mind and body so I can achieve my goal! Oh and yes it’s time for a little bit of a shameless plug. Last year I had the pleasure of hosting over 100 Princesses with my amazing LOW rates at Walt Disney World Resort and I am able to offer great rates again this year! I have discounted rooms at Pop Century, Port Orleans French Quarter and Contemporary Resorts. Also, when you book a room you can get great low rates on park tickets. Only requirement at time of booking is a 1 night deposit, the balance is due at check-in. You can also add your park tickets up to 60 days before arrival! Join us for a great weekend of fun and friendship! Contact me today at 443-424-0181 or jenniferg@destinationsinflorida.com for pricing and availability.